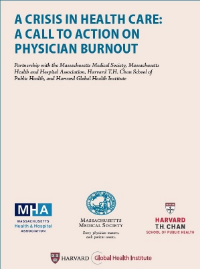 Burnout among the nation's physicians has become so pervasive that a new paper published today by the Harvard T.H. Chan School of Public Health, the Harvard Global Health Institute, the Massachusetts Medical Society and Massachusetts Health and Hospital Association has deemed the condition a public health crisis. The Massachusetts Medical Society has championed tobacco prevention and cessation since it was determined that smoking is hazardous to one's health. The medical society advocates at the State House and federally for legislation designed to reduce, prevent, educate, and earmark funds for tobacco use. The Massachusetts Coalition for a Healthy Future – now known as Tobacco Free Mass – has been chaired by many medical society leaders over the years, including Dr. Jack Evjy, Dr. Carole Allen, Dr. Thomas Sullivan, Dr. Alice Coombs, Dr. Alan Woodward and Dr. Lynda Young. 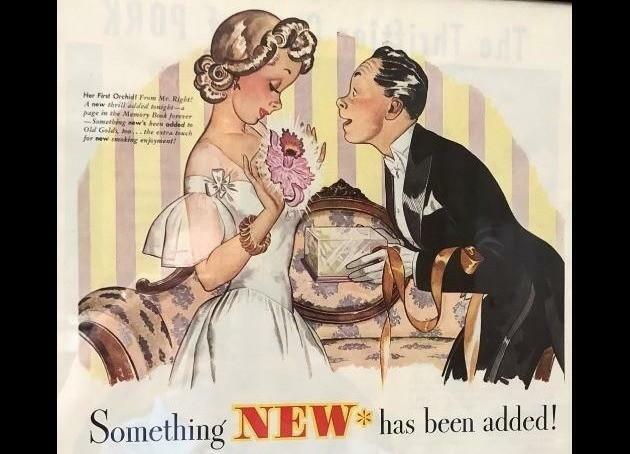 MMS member and pulmonologist Dr. David Green has been collecting tobacco advertisements, mainly from the 40s and 50s. These are on loan to the Society through the end of February, when Dr. Green will donate them to the Public Health Museum of Massachusetts in Tewksbury. Before the collection goes to the museum, it is on display in the lobby of our headquarters and, if you're, visiting, you're encouraged to take a look. February 2, we will welcome AMA President Dr. Barbara McAneny, who will be part of a conference that outlines varying types of private practice models. It explores how private practice can thrive financially and cultivate physician-patient satisfaction in the context of emerging market trends and priorities. Dr. McAneny is the keynote speaker. This is an opportunity to learn the benefits and operational/economic characteristics of models such as "practice without walls," direct primary care, integrative medical-behavioral family medicine, concierge, and traditional practice. The program covers the AMA's Practice Improvement Strategies, alternative funding opportunities within Fee for Service, the benefits of physician autonomy in avoiding burnout, and more. It will be held at the MMS headquarters in Waltham and is designed for medical students and physicians of all specialties and career stages. Happy 2019! Welcome to all our members. The new membership year has begun. At 25,000 strong we are gearing up for a productive year ahead. Preview our new membership benefits page and brochure. Save 5% or more on multiyear enrollment options. Take advantage of the Legal Advisory Plan (LAP), a MMS members-only benefit, available as your first line of defense, providing access to expert attorneys when you receive a Board of Registration in Medicine complaint. Your professional liability policy may limit your coverage for Board investigations, and you may quickly reach your coverage maximum. Your premium may subsequently go up. Enroll or renew for January 2019 – January 2020 coverage now for a nominal fee of $70 - a fraction of the cost of hiring an attorney. You must be enrolled at the initiation of an investigation to avail yourself of plan services. "Veteran suicide is a national scandal. We must repair and expand the mental health system for our fighting men and women. We must win the war at home." Urgent care centers, walk-in clinics that treat a range of pressing medical issues, are proliferating in crowded shopping centers and along busy roads across the state, especially in affluent suburbs. One 2-mile stretch of Route 9 will soon have four urgent care centers, the newest next to a Chipotle and a Staples in Natick. Chestnut Hill has three within a 15-minute drive, and Cambridge, four. But no companies have rushed to open urgent care centers in Dorchester, Roxbury, or other lower-income neighborhoods in Boston. While the state already suffers a shortage of beds to treat patients for substance use, Martinez said the bill would work in conjunction with bringing more resources online. "We see addiction, we know it's happening," said Martinez. "There are so many folks that end up on the path toward corrections, and if their path was recovery they would end up in a path toward healing." Boston Police Commissioner Gross said the effort would learn from the failures of drug crime processing in the 1990s, which increased rates of incarceration but didn't solve the drug problems. While the city already has programs similar to this widely in Suffolk County courtrooms already, passage of the bill would expand similar opportunities to others statewide. Kamal Jethwani, MD, Senior Director of Pivot Labs at Partners Health Care, developed the app to let patients report pain on a scale from 1 to 10 and get help, if needed. "So it's going to ask you a bunch of questions to figure out if you've taken your medication, whether you've taken enough medication and whether you're having any symptoms preventing you from taking your medication," Jethwani said. When a patient reports pain above an 8 on the scale, the app will alert a clinician to a potentially serious problem. Less than that, it will offer tips and education for managing pain. "Patients were able to track their own pain scores. They would get a color-coded calendar to say, 'Ok, on this day I was doing really well and this day I wasn't, what could have been going on,'" Jethwani said. At a recent conference, the men presented the results of a small study on the app's usefulness. After eight weeks, patients using the app reported a 20 percent reduction in pain and had a 70 percent lower risk of pain-related hospital admissions. Community Healthlink, a Worcester treatment center, is due to restore its around-the-clock availability after receiving a grant from the Blue Cross Blue Shield of Massachusetts Foundation. The $200,000 grant will help the UMass Memorial Health Care-affiliated center provide medication-assisted treatment, develop tele-medicine capabilities, and develop a team of certified recovery coaches, Blue Cross Blue Shield announced. Community Healthlink, located at 72 Jaques Ave., treats mental illness, substance use, and homelessness. It was one of six agencies statewide to receive a share of $1.2 million from Blue Cross Blue Shield. "This funding will allow us to resume 24-hour coverage in our urgent care to provide mental health and substance use disorder assessments and referrals," Nicole Gagne, the president and CEO of Community Healthlink, said in a statement. "We think this is a vital service for the community and are thrilled to be working with the BCBS foundation again." *Correction* Fentanyl-laced cocaine, not heroin, biggest overdose threat in Mass. There was a content error from a source cited in last week's "What's new in health care" regarding the coverage of fentanyl-laced cocaine in Massachusetts. The dates and references cited were outdated. The source has updated the article and the most recent version can be seen here.